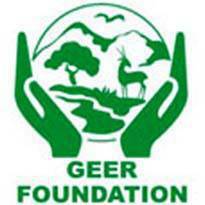 GEER Foundation Gandhinagar Recruitment 2017 :Gujarat Ecological Education & Research (GEER) Foundation ,Gandhinagar invites application for the below mentioned Posts Vacancies in Gujarat . This is a great chance for interested candidates who are looking for GEER Foundation Jobs 2017 . They all can apply offline before or 6.Get complete information regarding this GEER Recruitment. age limit, qualification, selection procedure, pay scale (pay band), how to apply, educational qualification,age limit,selection procedure,how to apply ,last date etc are mentioned below.